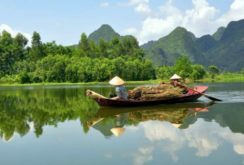 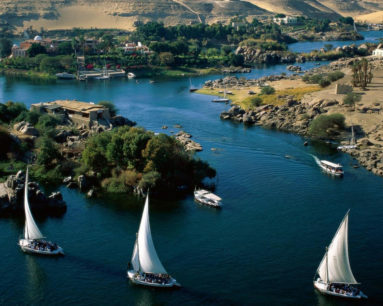 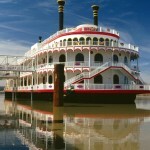 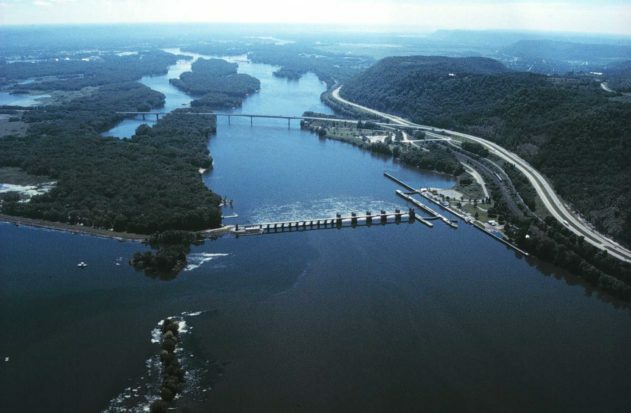 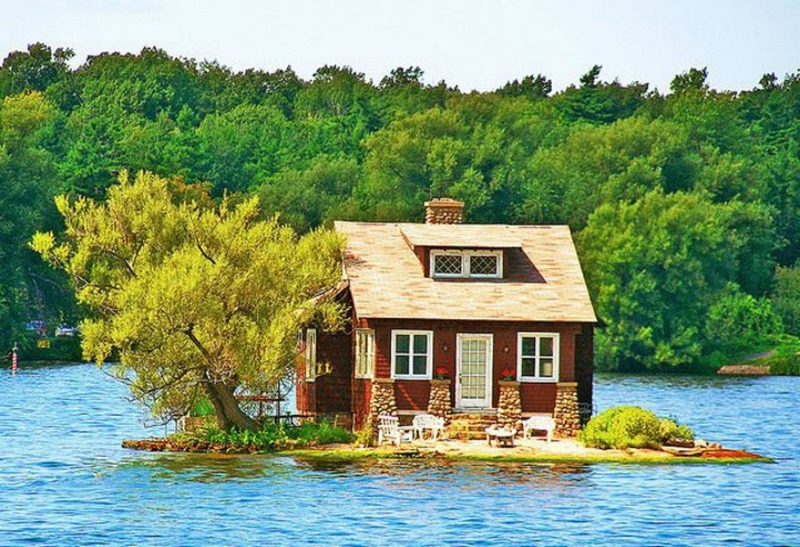 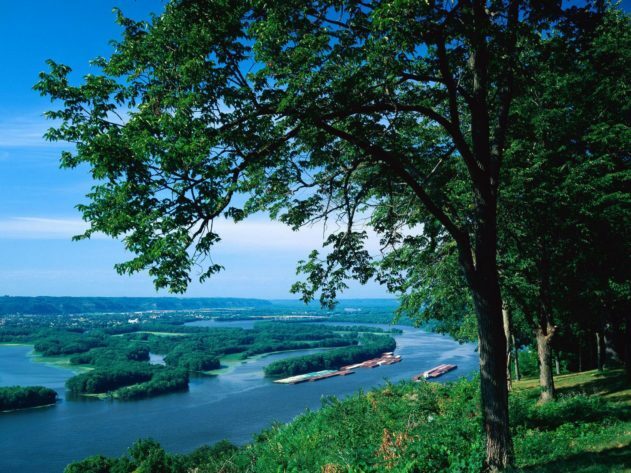 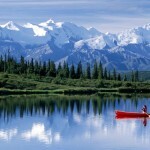 I imagine that, reading the title, many of you have thought to long popular rivers of our planet, like the Nile, the Amazon, the Mississippi, the Mekong and the Yangtze. 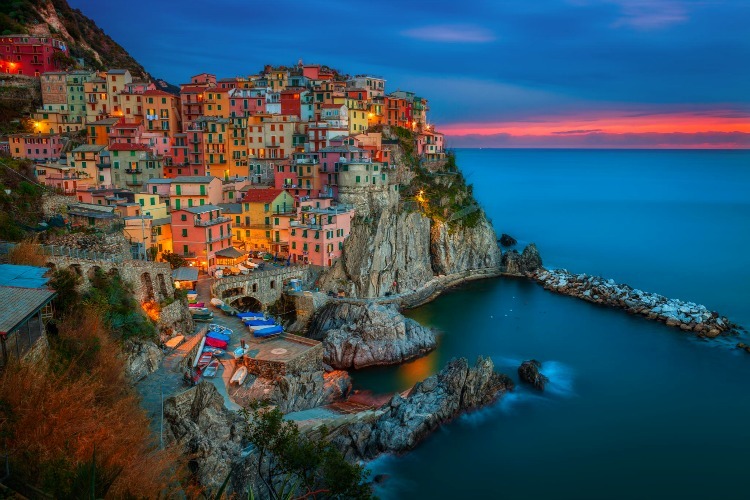 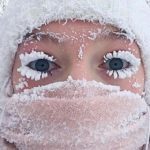 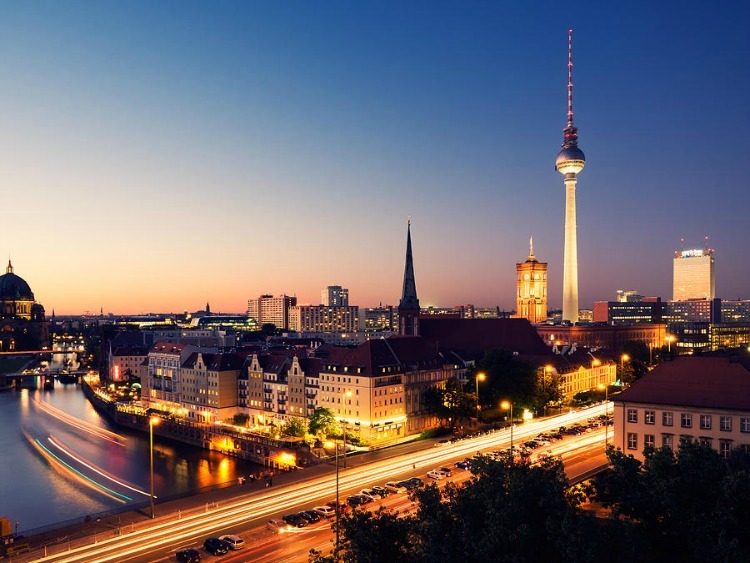 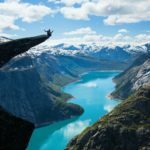 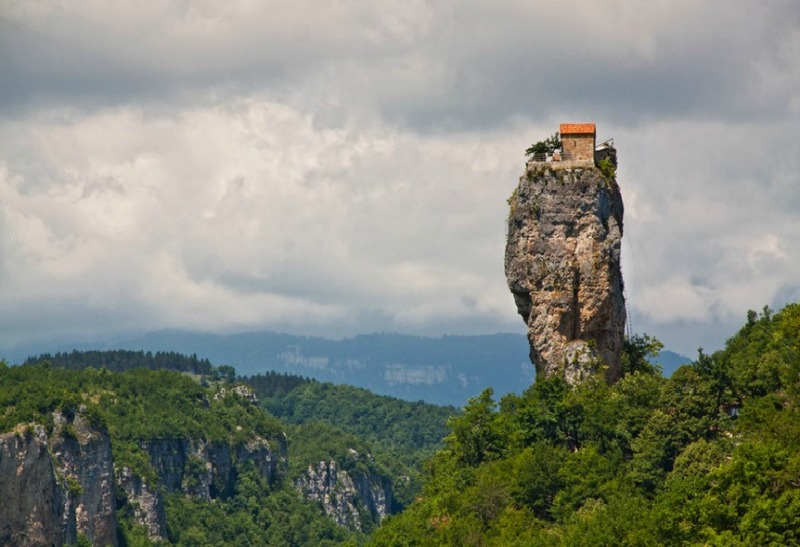 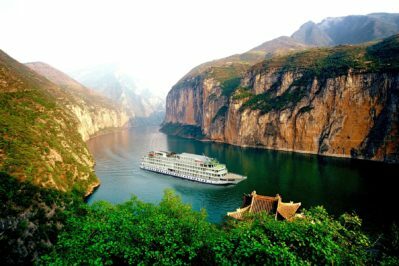 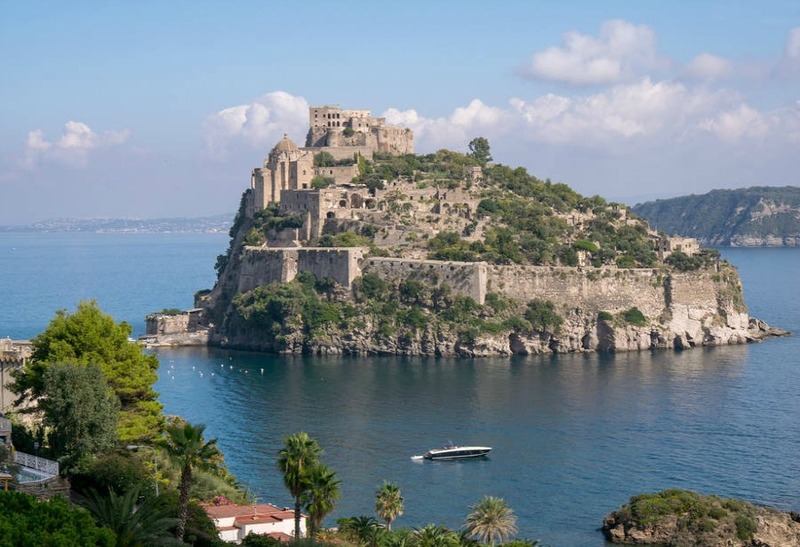 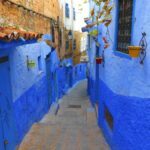 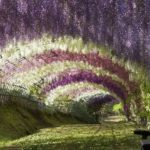 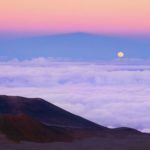 These rivers, through one or more countries, during their long journeys, show breathtaking landscapes and areas of natural beauty. 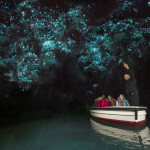 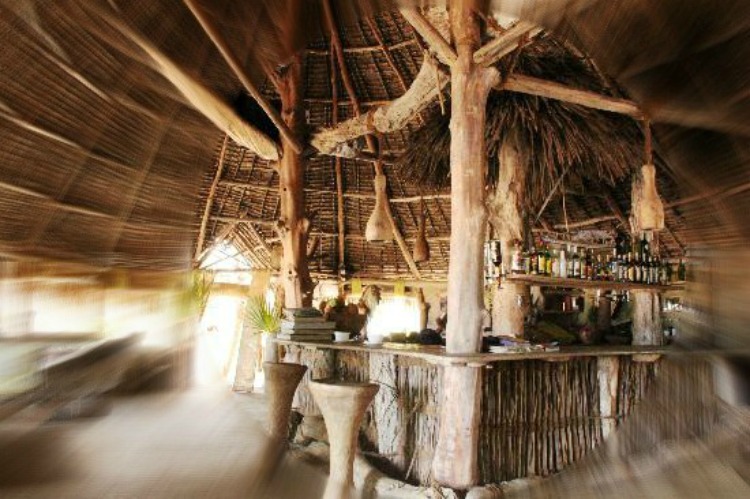 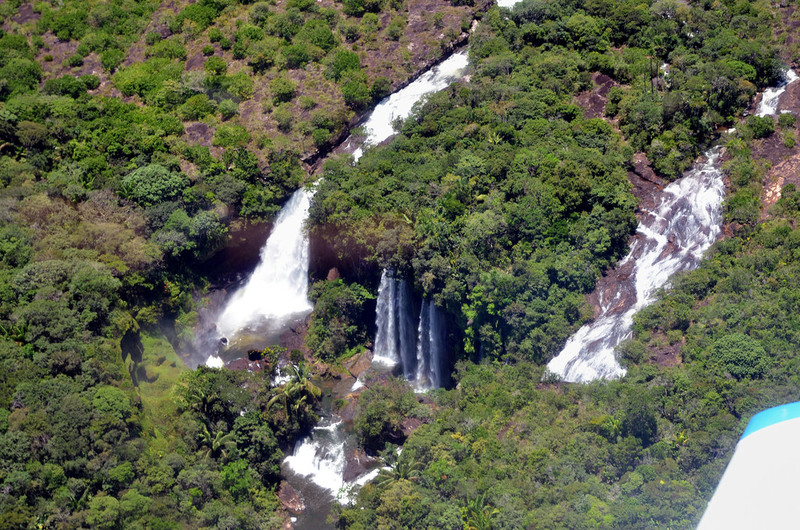 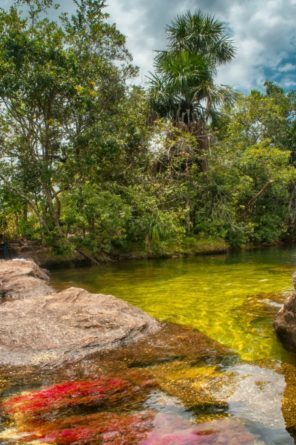 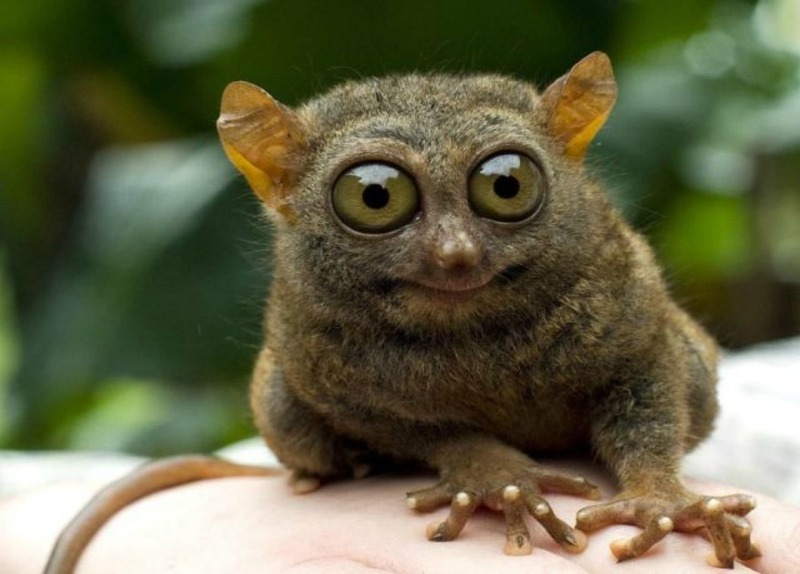 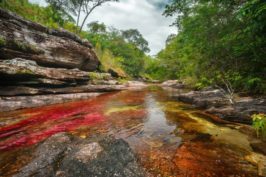 Instead The Golden Scope wants you to discover a river located in Colombia, a “little” river …it runs just one hundred kilometres, before it joins the river Guyabero. 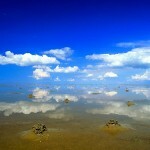 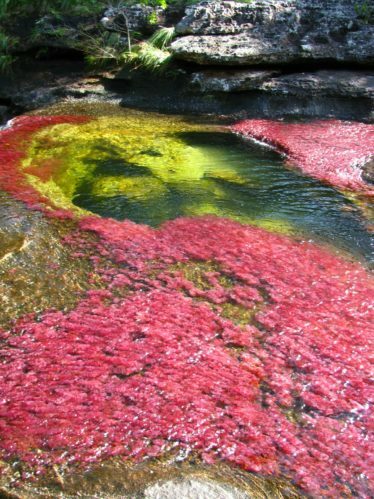 During most of the year this stream has the normal features of any river, but in the season, between September and November, its water level drops considerably and moss and algae below the surface are exposed to the sun. 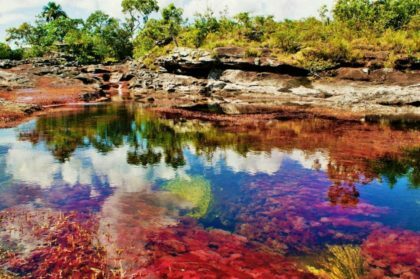 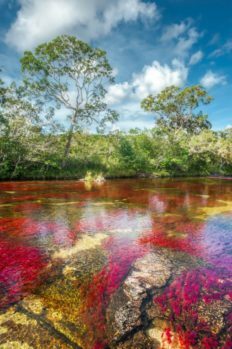 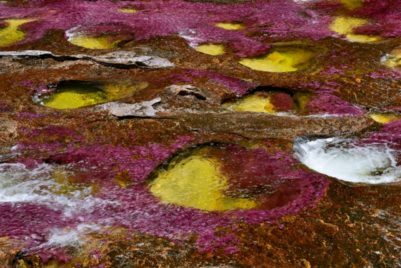 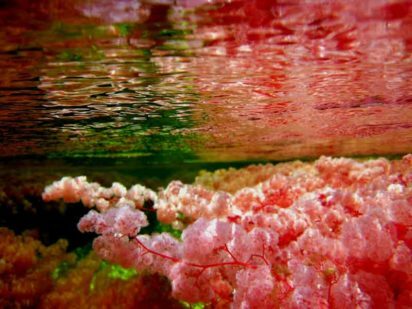 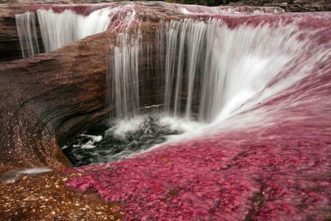 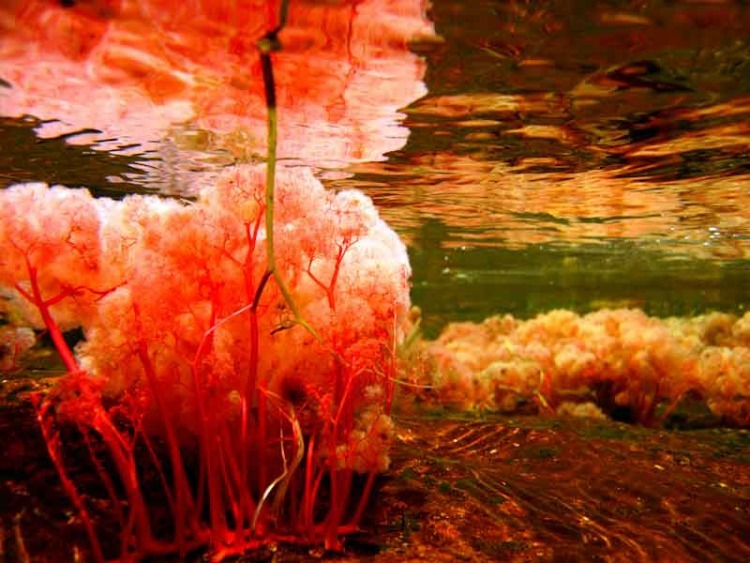 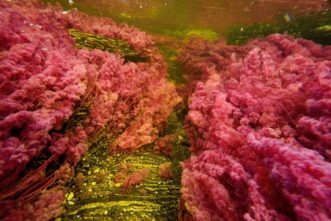 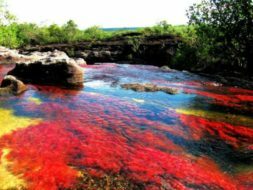 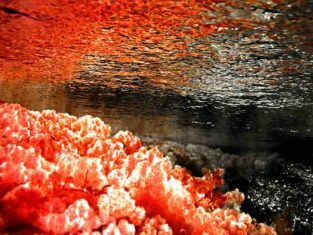 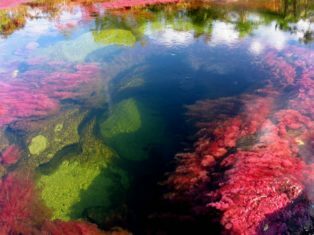 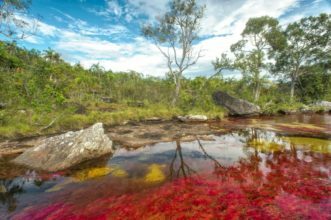 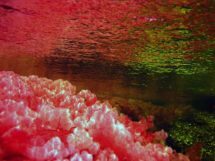 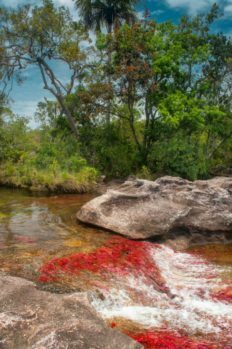 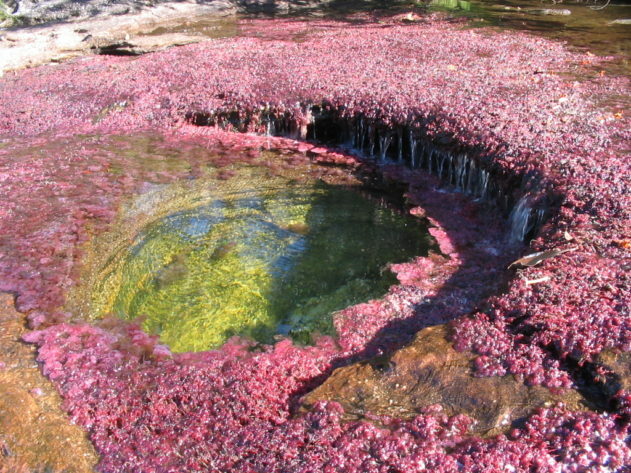 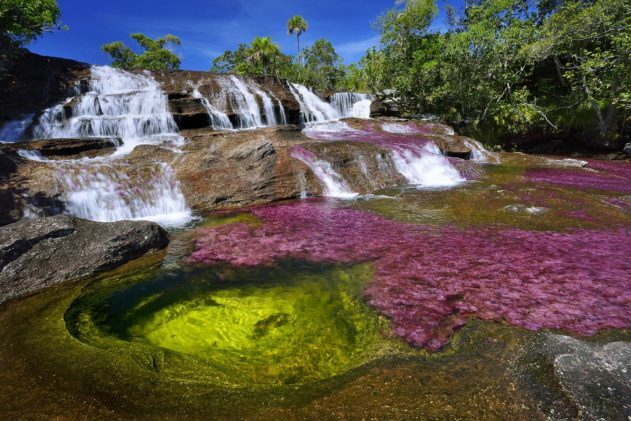 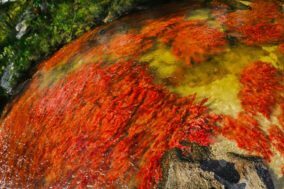 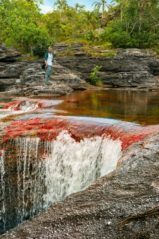 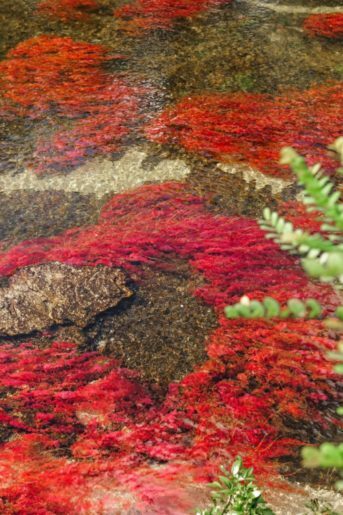 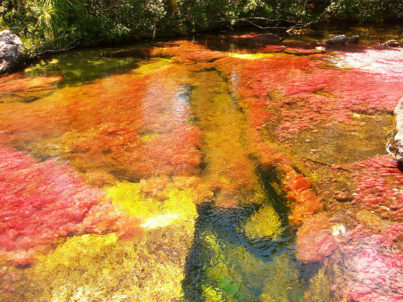 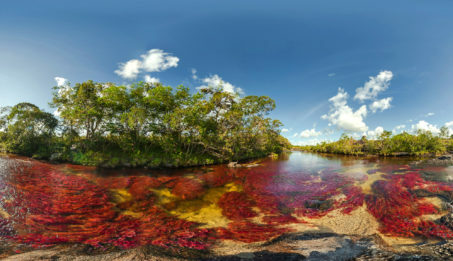 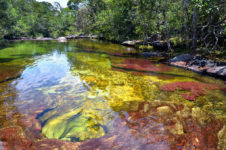 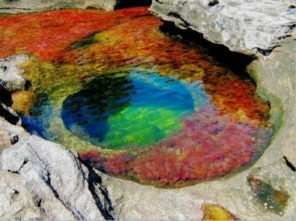 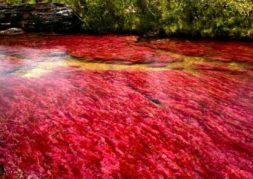 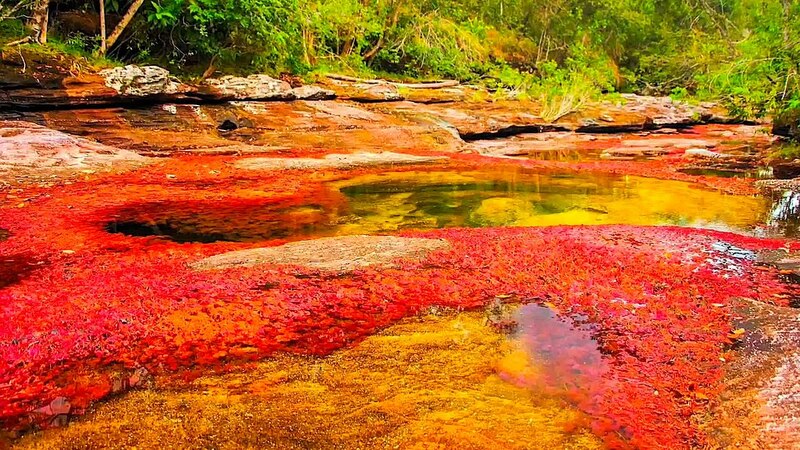 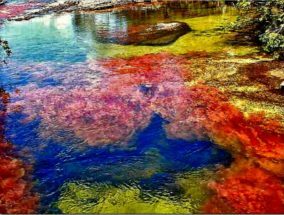 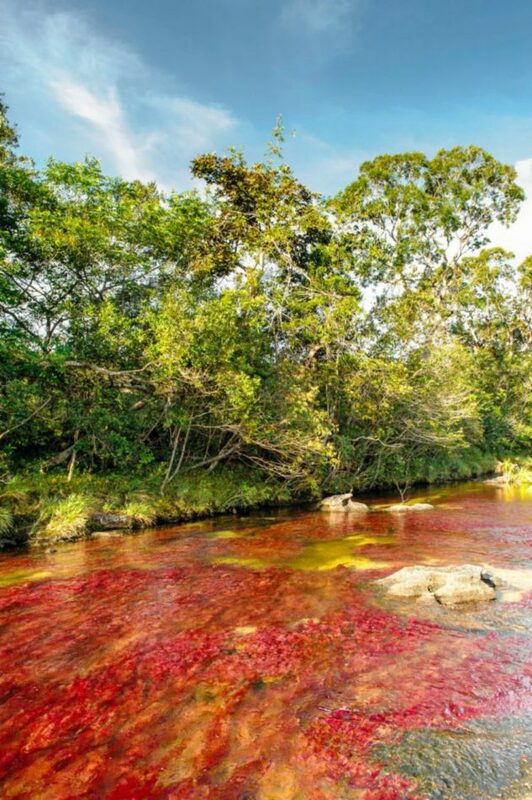 As you can see from the pictures, the effect is spectacular, the Caño Cristales is “transformed” in the Rainbow River, its waters take psychedelic colors and the effect that is created is fabulous! 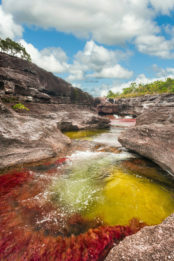 This spectacle biological develops into a real natural monument of Colombia, the Serrania de la Macarena National Park, where there is the confluence of three different biogeographic systems: the Andes, the Amazon and the Orinoco region; a veritable paradise, rich in flora and fauna and, above all, with the most beautiful river in the world: the Rainbow River!